With the growth of the modern day internet usage, web hosting is becoming a prime importance. Every company these days rely on the online business which helps them have an online presence. This happens to be one of the primary reason why the online industry seems to flourish these days. The web hosting companies help one in hosting their websites online. These need to be renewed regularly to make sure that a website is visible online. However, to attract more customer, time to time these companies offer multiple benefits to their customer in the form of Hosting Coupons & Promo Code which help one reduce the cost of the renewal. The well-known companies like Bluehost, Bigrock, Siteground and Host Gator also roll out the promo codes for domain registration, web hosting registration and renewal for the various services like WordPress hosting, Linux hosting, Private server hosting, shared hosting, dedicated hosting and more. Buy any Cloud Hosting plan and receive 20% discount on your first month cloud hosting. The offer is valid on all monthly and annual plans. Get free $25 Hosting credits on your all cloud hosting plan. Get 1 free hosting at Cloudways with your existing plan. 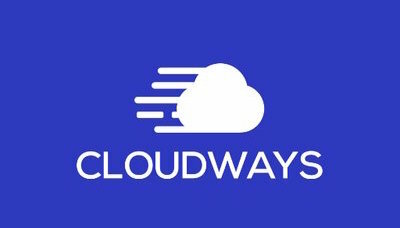 Start hosting today at Cloudways. Price starting $7 Per month. Host your website in India on the HostingRaja and get 40% off on your first order. Buy fast and secure shared hosting server at Hostgator India and get up to 50% off on total billed value. Hostgator Shared hosting allow all types of CMS sites like WordPress, Joomla, HTML, PHP and many more. Buy Hosting plan for 3 months from Hostgator and get 1-month free web hosting. Using the coupon code GATOR123 will allow you to get one-month free hosting. Hostgator provides hosting plan starting Rs 89 including Domain name registration, Email Hosting, and many free add-ons. Grab the exclusive deal now. Buy Domain and host your email on the same Hostgator Email server. Buy GrowBig & Gogeek Hosting Plans at affordable price. Host your site at one of the best hosting provider for WordPress sites. Buy Grow Big and Gogeek shared hosting plans and get add-ons like Free SSL, Customer support, free site migration assistance and more. Buy One-year full featured hosting with unlimited benefits at just Rs 9.95%. Using the Refer link to activate the deal. GoDaddy is offering 30% or more on New Domain Extensions. Get .live, .shop, .online and more from GoDaddy and get up to 30% Off. GoDaddy is offering up to 49% on Email marketing. Now, you can create emails that look good on any device, easily integrate with your website or store and Track your success with smart campaign analytics. Save up to 50% on Web Hosting at GoDaddy. Host a single website at Rs 99 per month. You can buy .com domain from GoDaddy at Rs 99 per year. When you register for 2 years or more then you have to pay Rs 99 for the first year and then Rs 959 for additional years. Now, WordPress Hosting made simple by GoDaddy so you can easily manage your WordPress at just Rs 99 per month. Buy Dedicated Servers from Go4Hosting ad get FLAT 30% discount. Offer is for new and domestic Indian customers only.